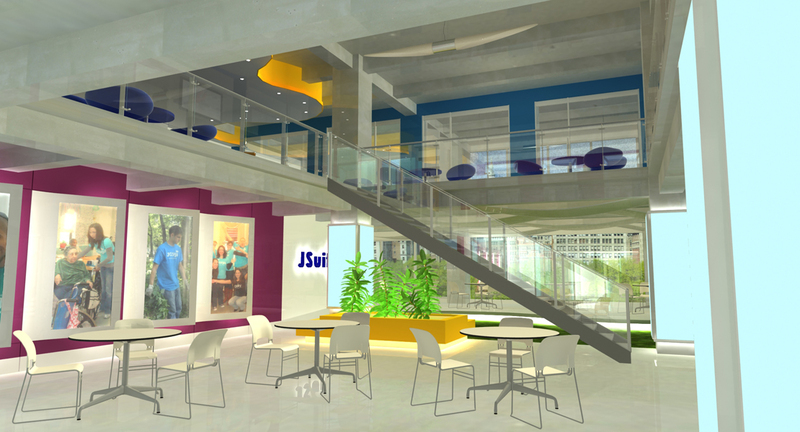 JSuites will be home base of JCorp, a social volunteer group located in 13 cities worldwide. 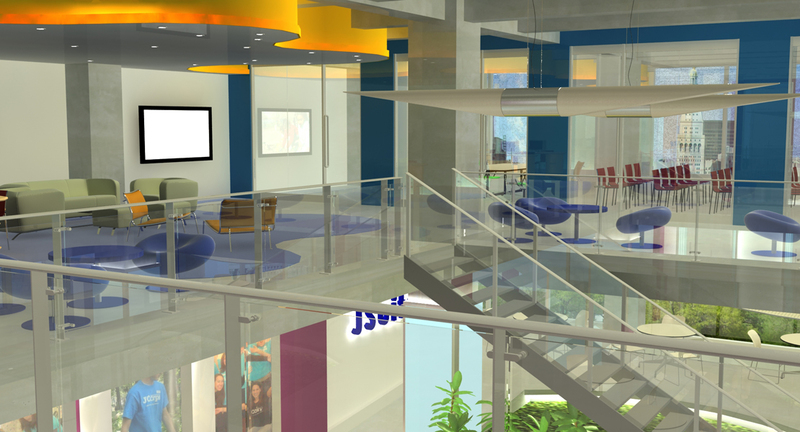 Besides providing office spaces for the administration of JCorp, the suites are also intended to be a community center for members of the young adult volunteer force. 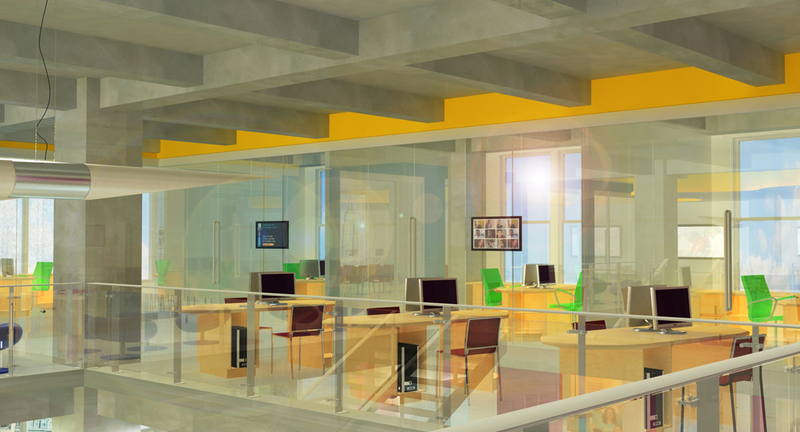 Multipurpose spaces and transformable rooms allow a variety of activities and events to be held within. 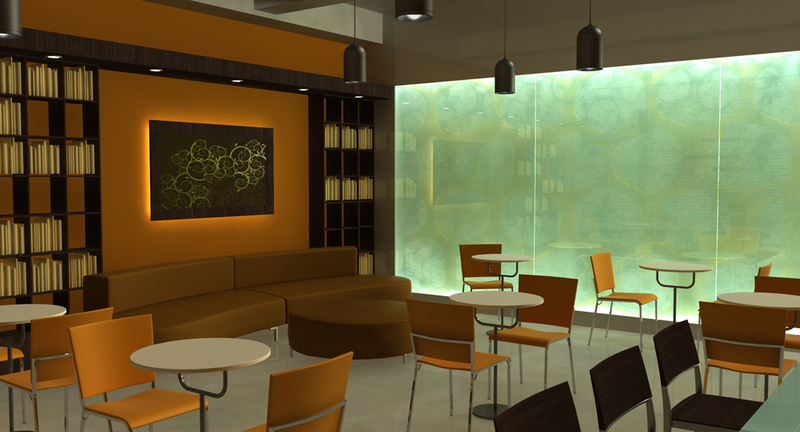 The suite will contain a dining area, kitchen, lounge areas, classrooms, and a performance space. The spaces are organized around a double height atrium that, in conjunction with generous amounts of interior glass, helps bring in natural light and increase visual communication between zones.